Our website was launched in 2004. Previously, we only rented Jeeps the old fashioned way. Now we have been operating in Hawaii on Maui, Oahu, Kauai and Molokai for fifteen years. Many of our original staff are still with us. We still believe that true customer service should be delivered in the Hawaiian spirit of aloha. Please reach out to our Hawaii Jeep Rental team if you have any concerns. We are available most of the day throughout the year (including holidays). In addition, please send your Jeep rental reviews to us here or on our social media channels. Our lead Jeeper works with large brands (Alamo, Thrifty, Budget, Dollar, Enterprise, Avis, Budget) to obtain the lowest rates and additional benefits our customers receive. We appreciate the relationships we've built with our existing customers. Our service was built to be simple, affordable and easy to use. We're always here to help work through any difficulties or questions that arise (contact us). Our top goal is to make sure you're happy with your Jeep rental from us. 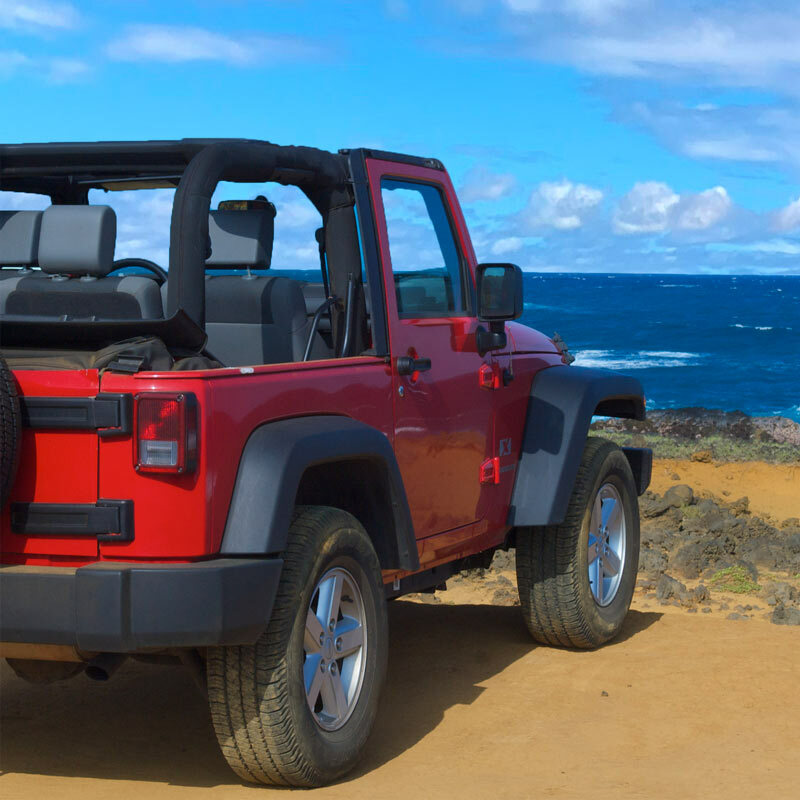 We can assist if you want to view Wrangler rates or simply rent a Jeep in Hawaii.